Insured Outcome Review - Insured Outcome is a Scam! Insured Outcome found at insuredoutcome.com makes a bold promise – to make you $540,000 every month. But can they be trusted? Don’t be fooled, because Insured Outcome is a scam! We’ve done an in-depth investigation, so read on to find out the truth in our Insured Outcome review. Insured Outcome is a scam that promises sky high profits. 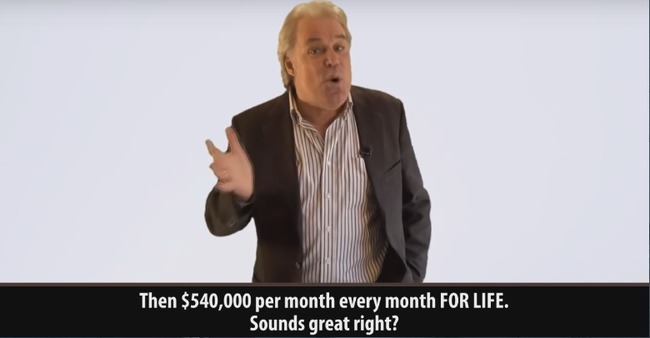 When you first get to the homepage of Insured Outcome scam, you’ll be greeted by an auto-play video featuring Oliver Breitner, the alleged CEO of the auto trading software. Breitner hails his software as a miracle trading software that has never lost a single trade since its debut in year 2014. Yes, you heard that right. Not a single loss since it started trading over 1 year back. 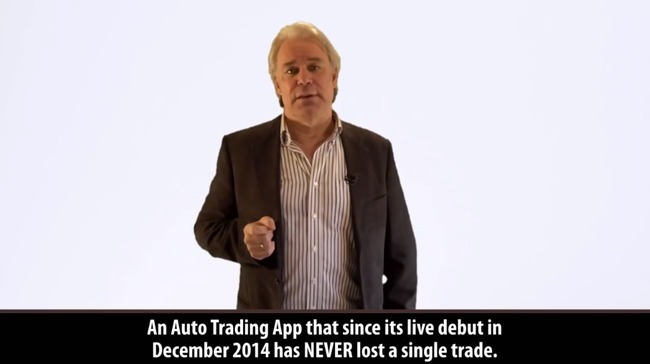 He claims that the software will hedge your trade if it finds out there’s a risk of losing, 1-millionth of a second before your final auto trade expires. However, the real question is, can you really believe it? Can you really trust Oliver Breitner? To be honest, we didn’t really believe his claims. It’s extremely similar to other binary trading scams that spouts nonsense. Insured Outcome didn’t exist before Apr 2016! 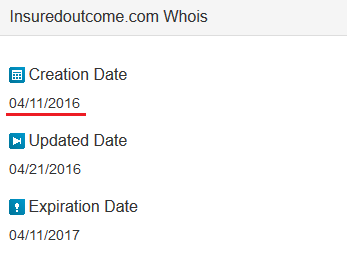 To gain an objective evidence, we decided to consult the whois information of insuredoutcome.com to ascertain the creation date of the domain. 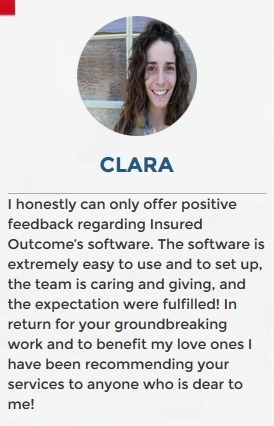 Keep in mind that Insured Outcome software can only be obtained by signing up through the website itself, because it is tied to the broker account they open for you. In other words, there is no other way to obtain the software other than to sign up from insuredoutcome.com. According to the whois information, Insured Outcome did not exist before 11 Apr 2016, while Breitner claims that his software made its debut back in December 2014. Apparently, Breitner was lying in the sales video, because he wanted to give you the false impression that Insured Outcome scam has been operating for a long time. The members of Insured Outcome scam are fake! If you scroll down from the sales video, you’ll come across the testimonials of a few “members” featured by Insured Outcome scam. Every single one of them seem to give a raving positive review for the software. Given the outrageous promises by Oliver Breitner in the sales video, and the revelation of his lies regarding debut of the software, we decided to look into the identity of these “members” to see if they are legitimate. Firstly, we performed a reverse look up into Alber (refer to image above). His photo was featured in multiple websites, and we determined that the original picture came from Natural History Museum. 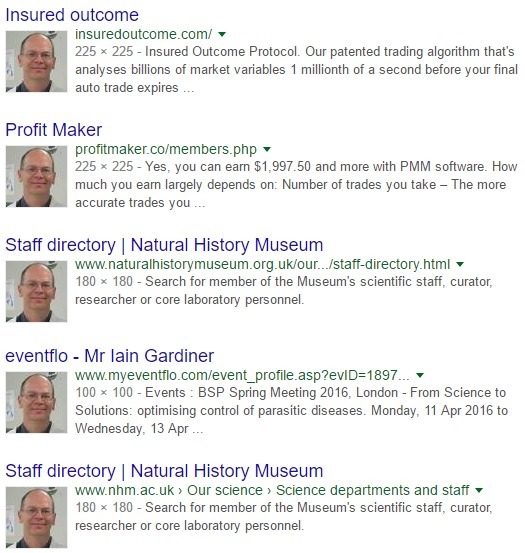 This photo was stolen from Dr. Aidan Emery from Natural History Museum, in which the scammers behind Insured Outcome scam shamelessly fabricated a profile with fake testimonial for him. Interestingly, the same picture was also featured in another binary trading software fraud, Profit Maker scam in which we have reviewed earlier. The same picture was used in Profit Maker scam. In that scam, the picture was given the name of Kenny Reese, and the testimonial was disguised in the form of a Facebook post. 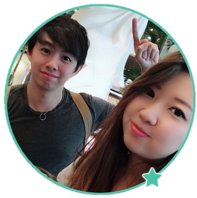 To satisfy the curiosity of our more skeptical readers, we decided to expose another member featured in Insured Outcome scam, Clara (refer to image). Similar to Alber, we did a reverse look up based on the profile picture provided, and managed to locate the origin of the picture. 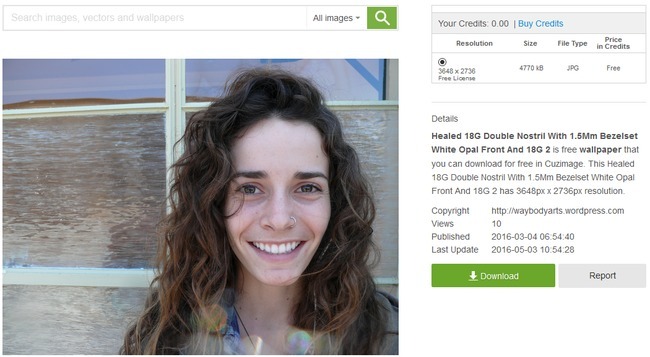 Unlike Alber, where the picture was stolen from an unauthorized source, the picture of Clara was obtained from a stock image directory. Clara is just an unrelated stock picture from the internet. You can find the original stock image here. Clearly, Insured Outcome scam is using stolen picture or stock image to fabricate their member profiles. Couldn’t they have used the photos and testimonials of authentic, satisfied users? The truth is, there are no satisfied users. Insured Outcome scam doesn’t work, and all is does it to eat away your deposit and give nothing back. In the end, Insured Outcome scam will be the only beneficiary who profits from your deposits. Is Insured Outcome a Scam? YES, INSURED OUTCOME IS A SCAM. We strongly advise you to stay away from the scam if you don’t want to lose your hard-earned money.